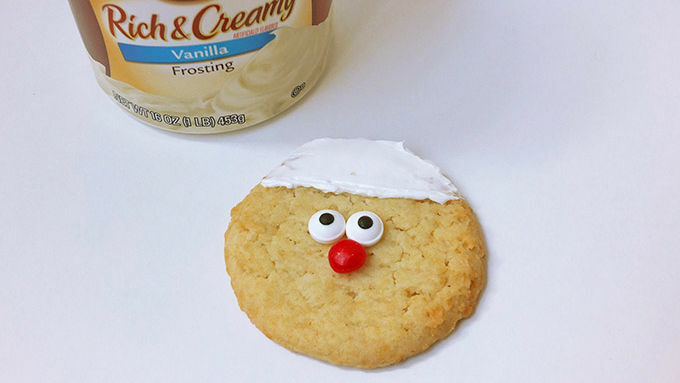 Using a small knife or a toothpick dipped in frosting, attach 2 candy eyes and a cinnamon imperial candy to the top of the sugar cookie. Spread frosting on the top 1/3 of the cookie. Carefully shake the red sugar sprinkles on top of the frosting, leaving a line of white frosting. Spread frosting on the bottom 1/3 of the cookie. Press sweetened shredded coconut onto the frosting. Attach the miniature marshmallow to the top of the cookie. Draw a smile on the cookie using the black edible marker. 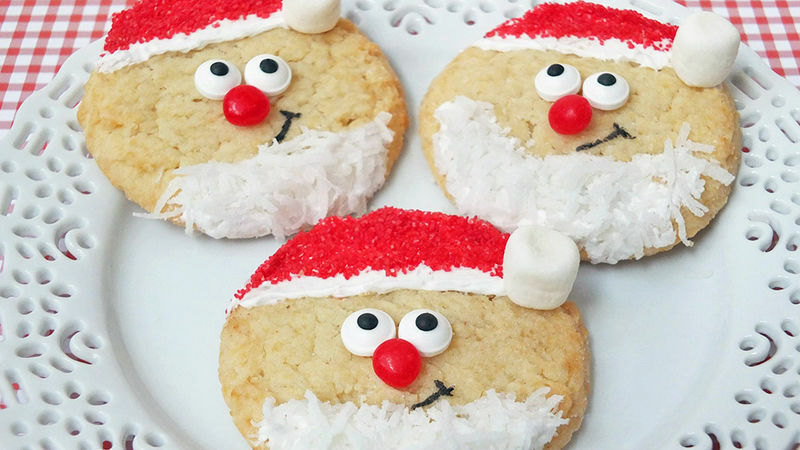 These Santa sugar cookies are beyond cute and easy to make! Dear Santa, Here’s why I deserve to be on the nice list. Every year I have dreams of trimming my house with gorgeous handmade decorations, making gourmet holiday meals and baking cookies from scratch. But it seems that something always comes up and Christmas is here before I know it and all of my good intentions go out the window. I simply don’t have the elf power that you and Martha Stewart have. I find myself in a panic when I have to bring a Christmassy dessert for a potluck, party or a cookie exchange – it seems there aren't enough hours in the day during the holiday season. 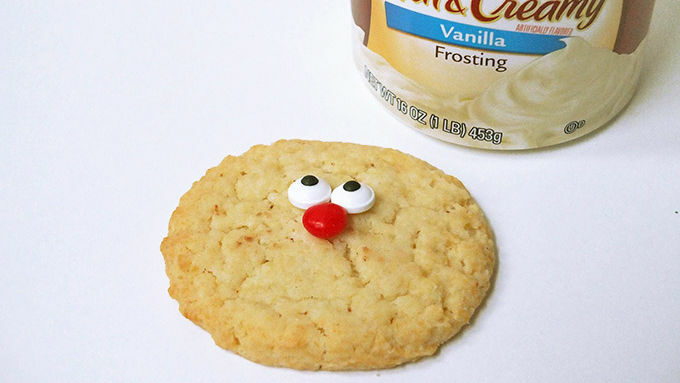 Thinking about making a dessert that is adorable and delish can be overwhelming. 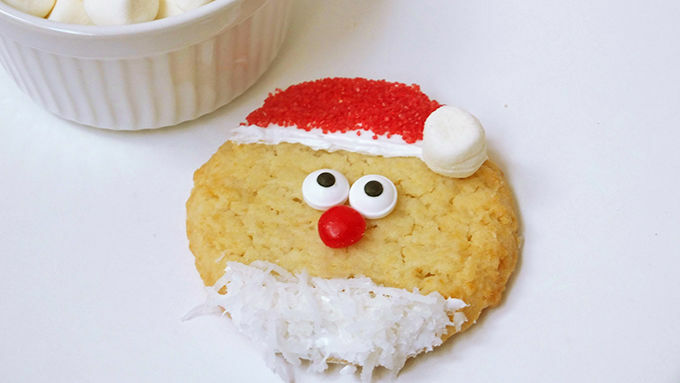 So I decided to share with everyone my super sweet Santa cookie recipe. Homemade doesn’t necessarily have to mean made from scratch. 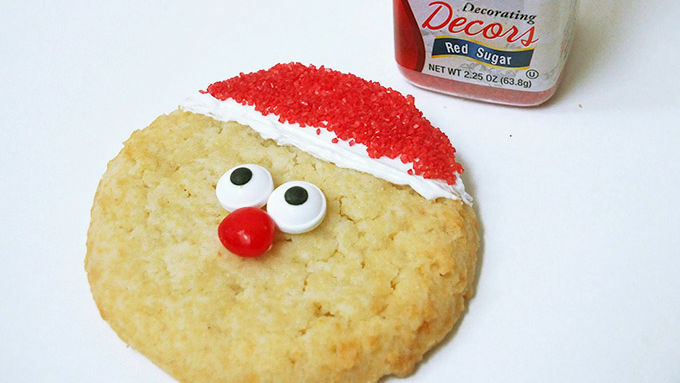 Decorating store-bought sugar cookies is a fun, edible craft that gets me in the holiday mood. I’ve eliminated the worry of finding the time to bake and having to deal with all the messy clean-up. It’s a way to give homespun treats to friends, family, co-workers or neighbors and still keep my sanity. I know you’ll adore these shortcut cookies. They're cute, sweet and full of holiday joy – just like you, Santa! I’ll be sure to set out a big plate of of them on Christmas Eve! XOXO! 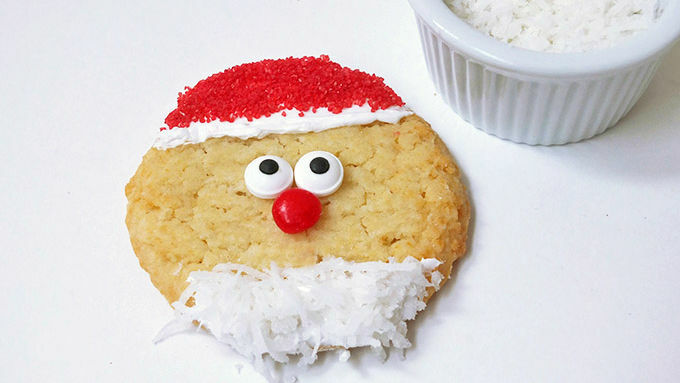 These super simple Santa cookies will be the hit of your holiday parties! What’s so great about these treats is that there is no prep time and hardly any clean up! Just assemble your ingredients, turn on some Christmas tunes, and you’re all ready to create some fantastic festive cookies! 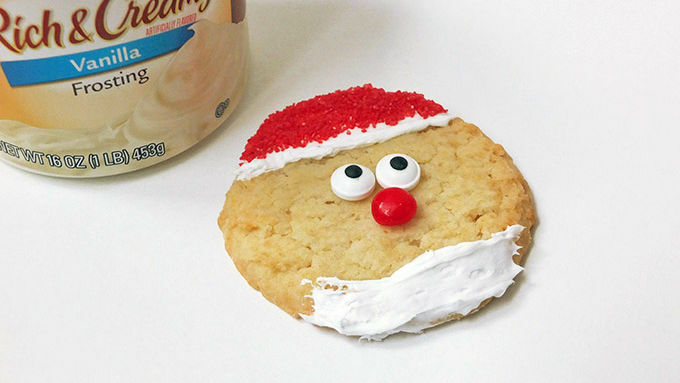 There you have it: Cute, handcrafted holiday cookies without all of the festive fuss. They will surely earn you a spot on Santa’s nice list!